Marriage is a serious commitment that is about more than just sharing your lives together – it affects your assets as well. And while most couples don’t plan on ever getting a divorce, it’s sensible to remove as many risks to ourselves as possible. This is where prenuptial agreements come into play, but often couples feel like these documents signify that they don’t trust their spouse or have faith that the marriage will last. There is a viable alternative to the dreaded prenup, however: an asset protection trust from an estate planning attorney in New Jersey. Revocable trust – Before you are married, simply have the papers drawn up for a revocable trust and place your assets in the trust itself. This means that those assets belong to the trust – not to you – and they cannot be considered as part of a divorce, unlike assets you buy after your marriage. 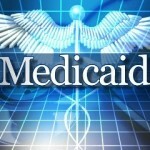 You can decide on the beneficiaries of the trust and under what circumstances they will benefit. If you no longer agree with the trust’s original terms, you can change or dissolve it at any point. Irrevocable trust – This is similar to the first trust structure in the sense that all assets you place within the trust before your marriage will be in the trust’s name and cannot be included in the event of a divorce. The difference is that once you put assets into the trust, they cannot be removed. 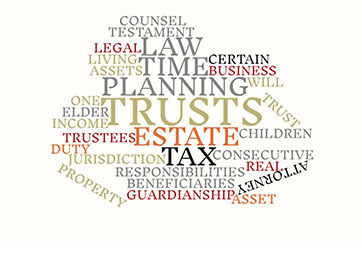 This can be a benefit if your assets are more than the federal estate tax exemption, as the assets in the trust will not be taxed after your death. What are the advantages of a trust over a prenuptial agreement? Unlike a prenuptial agreement, the trust can be formed yourself, and it is not an agreement between both parties. A prenuptial agreement can be challenged effectively and doesn’t protect against excessive child support claims. A trust allows you to hold all the power over the assets you had before your marriage, including how they are divided/who benefits during your lifetime and after your death. A prenuptial agreement is not effective after your death. At Sedita, Campisano & Campisano, LLC, we have over 30 years of experience in New Jersey estate planning law. We can assist you with estate planning for digital assets, as well as in creating a Last Will and Testament, Power of Attorney and medical directives as well as set up trusts appropriate to your specific needs. Let us deliver expert estate planning advice to take care of all your wishes – whether your estate is big or small – simply contact us or visit our website at http://www.scclegal.com/ today. It’s getting cold out there and, while for some of us the snow creates a winter wonderland, for others – like the elderly – the winter weather can become dangerous. Here are some tips from your elder law attorney in New Jersey on senior safety this season. Wear good footwear: Slip and fall injuries are common this time of year, and the elderly are especially at risk. Reflexes slow with age and, combined with frailness, the elderly are especially vulnerable to broken bones and medical complications. Try to avoid going out until the roads have been cleared, wear shoes with non-skid soles, and replace worn walker/walking cane tips. It’s also important to take the shoes off as soon as you get inside, as melted snow off the soles can increase slipping risks. Prepare for power outages: Storms can knock out power, leaving seniors – who are especially vulnerable to the cold – without adequate heating. Stock up on warm blankets, firewood for fireplaces/stoves, and keep batteries for flashlights handy. Another good idea is to keep a stock of non-perishable food items that can be prepared without electricity. Check your carbon monoxide sensors: Carbon monoxide is an odorless gas given off from heating equipment (including furnaces) if they are not operating properly/fully burning their fuel. It is very dangerous and breathing it in can lead to illness and even death. Sensors should be installed in the home and checked annually to ensure that the alarms are working. Emergency driving kit: For seniors who are still driving, it’s best to avoid going out on the road in poor conditions. However, even in good winter conditions disaster can strike – even if it’s just a flat tire. An emergency safety kit like the AAA Severe Weather Travel Kit is essential and should be kept in the car at all times. Be aware of isolation: In the wintertime, many elderly people find it’s easy to become isolated from friends and family, and depression is a real concern. If you have elderly family members or neighbors, try check in on them as often as you can either by phone or in person. If you would like assistance in protecting the health and rights of an elderly loved one, speak to Frank R. Campisano today. 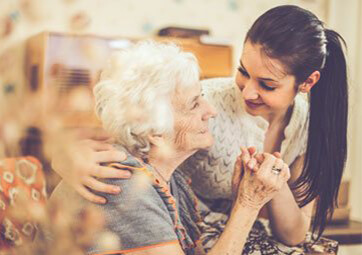 Experienced in elder law, compassionate and committed to his clients, you’ll receive the highest quality legal expertise and guidance that will help you secure better care. 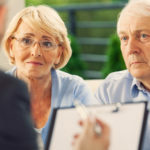 In addition, he can assist you with all estate planning documents, such as a Last Will and Testament, Financial Power of Attorney documents, Medical Directives and Healthcare Proxy documentation. For more compassionate legal guidance and a free consultation, please contact us or visit our website at http://www.scclegal.com/ today.